The Obama administration announced Wednesday that it opposed any government-imposed limits on the salary and bonuses of the CEOs and other top officials of major banks that have received trillions of dollars in federal handouts and guarantees over the past eight months. Coming only nine days after the White House forced bankruptcy on General Motors and major cuts in auto workers’ pay and benefits, the green light for CEOs to continue to award themselves eight-digit compensation packages is further evidence of the grotesque double standard of American capitalism. Workers, retirees, young people and small businessmen will all see their living standards and future prospects devastated, but nothing can be allowed to interfere with the pursuit of personal wealth by the financial aristocracy. 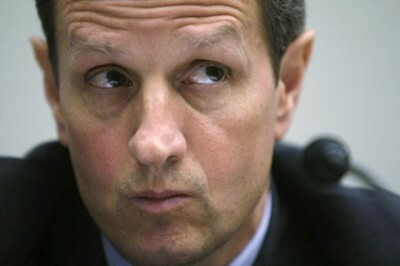 Neither Geithner nor any other Obama administration official has explained why it is wrong and “counterproductive” to limit the multi-million-dollar salary and bonus packages awarded to bank executives, but absolutely necessary to slash the wages, pensions and health benefits of workers at General Motors, Chrysler and their supplier plants. Well aware of the popular resentment against stratospheric salaries and bonuses for the financiers whose speculative practices precipitated a worldwide economic crisis, the Obama administration has offered a fig leaf of restraint on compensation. Geithner said the administration would ask Congress to give shareholders a consultative voice on executive pay and authorize the Securities and Exchange Commission (SEC) to require corporate compensation committees to be more independent of company management. (Most CEOs have their pay and bonuses set by their cronies on the board of directors, often appointed by the CEOs themselves). To call these measures toothless would be to exaggerate their significance. The shareholder votes would be non-binding. The compensation committees would still be selected by the corporate board and the CEO. There would be no outside regulatory supervision or control. And, of course, the workers would have no say whatsoever in the decision to award their bosses compensation packages hundreds if not thousands of times their own pay. Geithner declared that the first principle of his “reform” was that “compensation plans should properly measure and reward performance.” This is a sham. The CEOs of the major banks and investment houses do not create any real wealth. Their “labor” consists of the manipulation of financial assets. This activity is entirely parasitic, and in the recent period catastrophically destructive. To “properly measure and reward” the performance of these gentlemen would require criminal investigations and public trials, not multi-million-dollar payoffs. There are some differences between the measures proposed by Geithner Wednesday and those originally proposed by the Obama administration on February 4, as part of its initial reformulation of the TARP program. Other limited restraints were introduced into the stimulus package enacted by Congress in February, in an amendment drafted by Democratic Senator Christopher Dodd, chairman of the Senate Banking Committee. But no version provides any serious obstacle to the bankers and CEOs resuming their mania for self-enrichment. The only semblance of pay restraint will be applied to the seven companies that have borrowed more than once under the TARP program: Bank of America, Citibank, American International Group, General Motors, Chrysler, GMAC and Chrysler Financial. These seven companies must have the pay and bonuses of their top 25 executives approved by a “special master” appointed by Geithner, who named prominent Washington lawyer Kenneth Feinberg to the post. Feinberg will also review compensation practices at the other 80 firms that have drawn TARP money, but will not have any decision-making authority over them. While Feinberg was immediately dubbed the “czar” of executive pay by the press, there is a revealing contrast between his background and record and that of the individual who functions as the Treasury’s automobile “czar,” hedge fund billionaire Steven Rattner. Feinberg was most recently the head of the fund established to compensate the families of those killed and maimed in the 9/11 terrorist attacks in New York City and Washington DC. His task was to distribute several billion dollars to the families with a display of fairness and sensitivity. A critical purpose of these charitable payments was to forestall any lawsuits that could bring to light facts about the events leading up to September 11, 2001, above all the role of US intelligence agencies, which the government would prefer to keep hidden. Rattner is a capitalist speculator. He has a great deal of experience in dismembering troubled companies and disposing of their assets, extracting the maximum profit from a process that involves the destruction of jobs, pensions and working class communities, a task which he is undertaking with great zeal against the auto workers. The class divisions in American society are thus demonstrated even in the contrasting personal styles of the two “czars.” The CEOs of giant companies are to be treated with tact and discretion. The auto workers, on the other hand, are getting the treatment dished out by a corporate raider. The pretense of restraint on executive pay comes only a week after a report, by Challenger, Gray & Christmas, that more than half of American companies are cutting or freezing pay for their employees in response to the financial crisis. Some 52.4 percent of human resource executives surveyed in May said their companies had cut compensation, up from 27.2 percent in a similar survey in January. The Obama administration is a right-wing capitalist government pursuing a deliberate and sweeping attack on the American working class. Its social program finds its clearest class expression in this dichotomy: foreswearing any limits on CEO and executive compensation, while demanding sacrifices by workers and an across-the-board cut in “consumption”—i.e., in the living standards of working people.